Jack Ryan: Shadow Recruit is the Chris Pine movie you wanted. Most people will know Chris Pine from the Star Trek movies, and some say that they won't want to see this movie because of that. This would not be the case with Jack Ryan: Shadow Recruit. This is a movie you will definitely want to see, and see it with popcorn. The movie won't stop for a second, you will be so involved with the movie that you won't want it to be over. The movie also stars old man Kevin Costner, who appears to be having a come back in movies with just staring in Man of Steel and having three more movies released this year after this current movie. Kevin Costner is a great actor and that would be why his come back is happening strong. 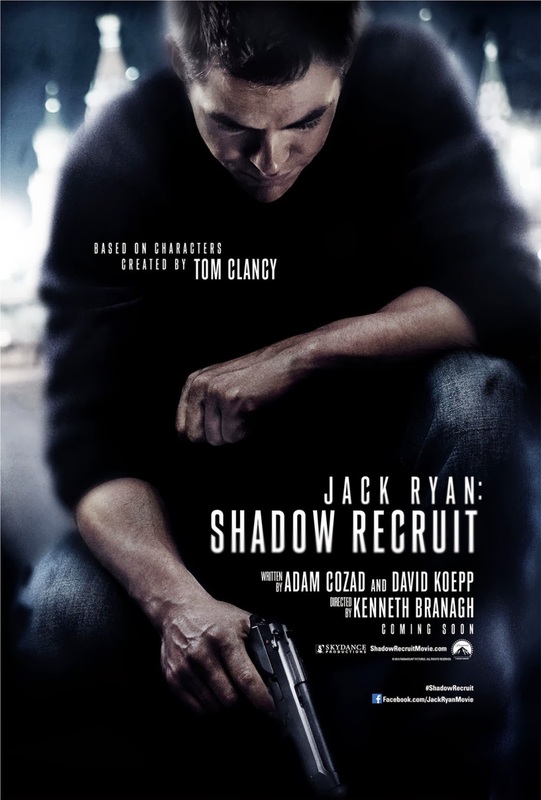 In Jack Ryan: Shadow Recruit, he recruits Jack Ryan and you would think he just sits there and does nothing but telling Jack Ryan what to do, that is not the case. Kevin Costner does have some scenes himself in the movie. The go to movie this weekend will be Jack Ryan: Shadow Recruit. The action during this movie, which there is a lot of, will keep you on your seat and wanting there to be more. Jack Ryan: Shadow Recruit will more then likely turn into a series and you will be glad for that. Don't just think this movie will be like Jack Reacher with Tom Cruise. That movie is completely different, and this movie is it's own independently thinking movie. Make sure you stay during the credits for an extra scene. Although Keira Knightley is great as an actress, They should have cast someone else to play Jack Ryan's fiancee. Most of the movies, excluding the Pirates of the Caribbean movies, she is miscast for. If you would like an example besides this movie ask in the comments below. The could have left the movie with a cliff hanger as to make a sequel in the air. They closed the end of the movie nicely. Which is a good thing, but they should have done a very small cliff hanger just to keep the audience thinking about the movie, even a week later.